Your dedicated Snack Concierge takes snack duties off your plate. With free delivery and no contract required, we make it easy to bring premium snacks to your office. Positive energy in. Positive energy out. Give your team Christmas morning excitement with an ever changing mix of feel good snacks that boost morale and show your team you care about their wellness. Get 40% off retail prices on the best emerging snack brands and skip trips to the store with free scheduled delivery. With the small decisions made easy, you can spend more on the best outings and benefits for your office. What’s in a Typical Box? Each box contains 150 single-serve snacks. Your custom box includes a rotating selection from our library of over 5,000 premium snacks. Get bars, chips, jerky, granola, trail mix, dried fruit, and more. Prices start at $299 including delivery and a display case. Fill the above form for detailed pricing and to get a free sample box! Set the bar high and slay hunger with an organic LivBar nutrition bar, Simply Smart bar or a Grab The Gold Energy Bar. Satisfy salty cravings with brands like Eatsmart Garden Veggie Crisps, Mediterranea Chips and Popcorners White Cheddar chips. Spice up your workflow with Jerky sweet chipotle, Chomps meat stick or fan favorite Field Trip Jerky. Skipped breakfast? Grab a bag of Julie’s Real Cinnamon Granola, Yomms pecans or Crazy Go Nuts gourmet walnuts. 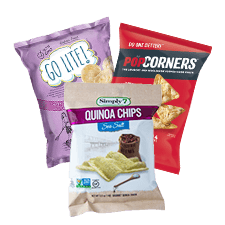 Snack even healthier with snacks like Vegan Rob’s cauliflower puffs, Ocean’s Halo seaweed snacks, or Wise reduced fat sea salt popcorn. Your personal Snack Concierge is dedicated to getting your box just right. If for any reason your team doesn’t love something, we’ll replace it. 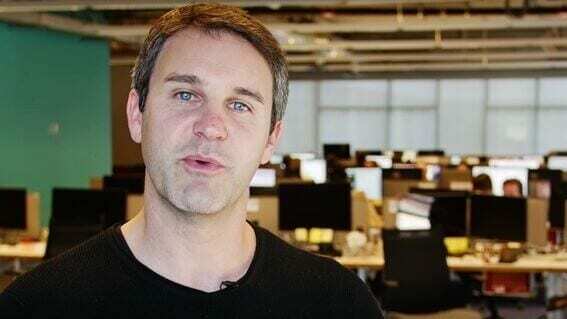 Why do the most forward-thinking companies love SnackNation? Taste-tested goodness. We test hundreds of emerging snack brands every month and select one third of the best tasting, feel good options. Exciting variety. We curate a new mix every month and add exciting new brands to keep it fresh. Clean, delicious ingredients. Every snack passes the Whole Foods Clean Label list and has no added sugar or chemicals. Gluten-free, kosher and low sugar options available. Our team makes it easy. Your personal Snack Concierge takes care of everything from delivery to snack curation so you can get back to being the office hero. Choose your snacks. 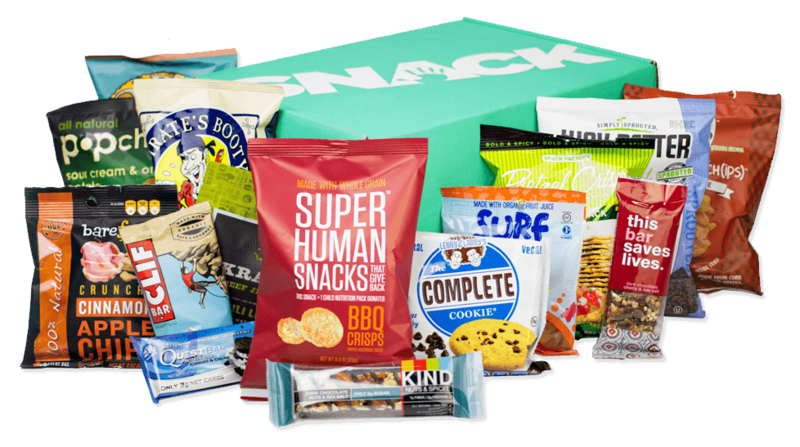 Get SnackNation curated boxes or create your team’s perfect mix by swapping snacks with Snack Sneak Peek. Be a SnackNation VIP. Join the SnackNation member community and earn points for more perks and free snacks! 3 Million Meals Donated. For every box we ship, we donate 10 meals to Feeding America. We’ve reached 3 million meals and counting! Support Our Troops. Members can donate their SnackNation boxes to military bases through our partnership with Support Our Troops. Tasty snacks always made with real ingredients and no added sugar or chemicals. Gluten-free and non-GMO options available! Transparent pricing. Free shipping. Stay as long as you want. Cancel anytime. I’ve had an employee say he ‘wants to defect from the US and move to SnackNation.’ I think this should sum up how much the staff loves SnackNation. Create a personalized mix of everyone’s most-loved snacks! See what’s coming in your box and swap or keep snacks to make every mouth smile. FREE 15-snack Discovery Box. Taste the difference!